Welcome to our new feature This Weekend in Recent History, which narrowly escaped being called "Old News." Here are five notable things that happened this weekend (June 6 and 7) in the past century. Nickelodeon Studios and Universal Studios Florida opened together on June 7, 1990 (making them 25 years old on Sunday). Two years later, Nickelodeon would bury a time capsule, promising to open it in 2042. Here's half an hour of video from the backlot tour as it was that first year. Keep an eye out for the visit to the "futuristic" set of Back to the Future Part II around 18:40 in the video (BTTF II was set in the year 2015). Goofy '90s fun all around. For one brief, shining second on June 7 in 1989, the time was: 01:23:45, 6-7-89. And then it wasn't anymore. 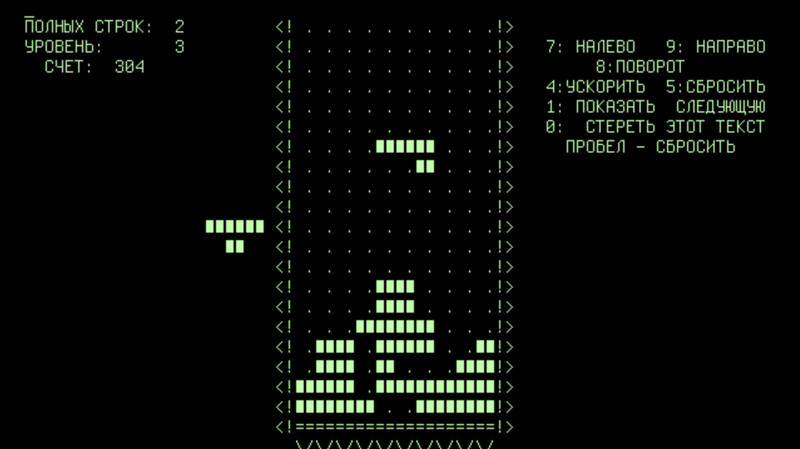 On June 6, 1984, the puzzle video game Tetris was released in the U.S.S.R. Designed by Alexey Pajitnov, it quickly took the world by storm, as we all waited for the "long bar" (officially called the "I piece") to clear four lines at once (this move is called a "tetris"). The Battle of Normandy began on June 6, 1944. Part of Operation Overlord, the Normandy landings represented the largest sea-based invasion in history, and ultimately liberated France from German occupation. Many of the soldiers who landed on the beach that day were in Higgins boats (no relation to the author of this article), troop-carriers with a hinged ramp at the beach end. The sea invasion was terribly costly. 4,414 Allied soldiers died, and another roughly 6,000 Allied soldiers were wounded. German casualties were estimated at 1,000. Although there had been outdoor screenings of movies before, the home of the first real drive-in movie theater is good old Camden, New Jersey. On June 6, 1933, Richard M. Hollingshead, Jr. opened his new theater with the slogan: "The whole family is welcome, regardless of how noisy the children are." The first film screened was Wife Beware (or Wives Beware, depending on which source you consult), a very minor film starring Adolphe Menjou.